If you are used to Blender, then you must know about the use of external raytracers with Blender 3D. 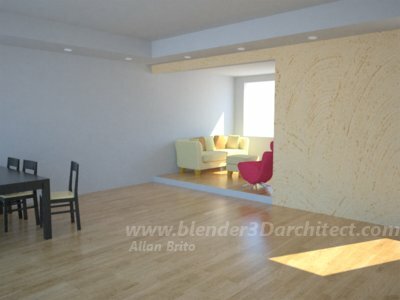 If not, then you are probably asking yourself, can I use V-Ray or Mental Ray with Blender? I know a lot of people use 3ds Max and V-Ray to create architectural visualization, but you can find some pretty good options in Blender as well. As a replacement for V-Ray in Blender, I would suggest two options, one them was mentioned in a previous article, which are Indigo Renderer and YafRay.  I am a YafRay user, and from the past few months I have used it for almost all my architectural visualization jobs. But, the YafRay project is not update since 2006, and another raytracers like Indigo are coming to my attention and offers some great tools to work with. Even not being open source like YafRay, Indigo caught my attention with some great light and GI options. And better yet, Indigo is freeware software. The scene is still a work in progress, I still have to add some furniture to the scene, but the result is already looking great. This scene was rendered in Indigo 1.0.9. How about YafRay? Well, I still believe in YafRay and his new generation called YafaRay. There are some great renders at the YafRay forums with YafaRay, but it's still not stable enough. This makes me feel a bit uncertain about using it for production. The Best option would be using the YafRay stable or Indigo, both of them work fine with Blender. So, now you know a bit more about the external raytracers and Blender 3D. Just a quick not, you can actually use V-Ray and Blender with a very experimental Python script, that exports the scene in Blender to V-Ray, visit this link to learn more about it. Remember, it's experimental and probably not very good for production environments, use it at your own risk. I think it’s necessary to mention Kerkythea here also as it’s multiplatform runing not only on Windows but also on Linux and recently – Mac. Aside of still developing Luxrenderer Kerkythea is only reasonable solution for Mac users. Have heard sunflow render ? I know it’s a Maxwell-like render, just like indigo. And it’s also a freeware.